From professional to rugged, these man purse pictures show that there is much variety in modern men's bags. Whether you refer to a man's bag as a briefcase, messenger, laptop case, carrier, or travel bag, there are many decidedly masculine bag options available today. A black bag, especially in a versatile duffle style like this one from the Joseph Abboud collection, can be a go-to item for any man. Since black goes well with almost any wardrobe item, this can be the perfect staple for a man who doesn't want to mess with sorting through many different bags. A structured men's bag is excellent for weekend use because its roomy design allows for many items. A boxy purse design like this one from Porsche Collection is masculine, stylish, and easily expands to hold all a guy's weekend essentials. Shopper-style handbags are roomy, have some structure, and look sleek in a variety of situations, from actually shopping to wearing to the office. A men's shopper-style carry-all, like this roomy brown two-toned leather design from Joseph Abboud, offers functionality as well as great style. An oversize bag, like this one spotted on the Nautica Men's runway, not only holds everything a guy could need, it also offers a trendy, leisure look for the man who wants to show off his modern style. A large men's clutch-style bag doesn't have dangling shoulder or hand straps to distract from his style. He can easily tuck it under one arm while securely holding essentials like a small notebook computer, office paperwork, and personal items. This teal, sleek clutch featured on the Armani runway is a dapper design for the stately gentleman on the go. 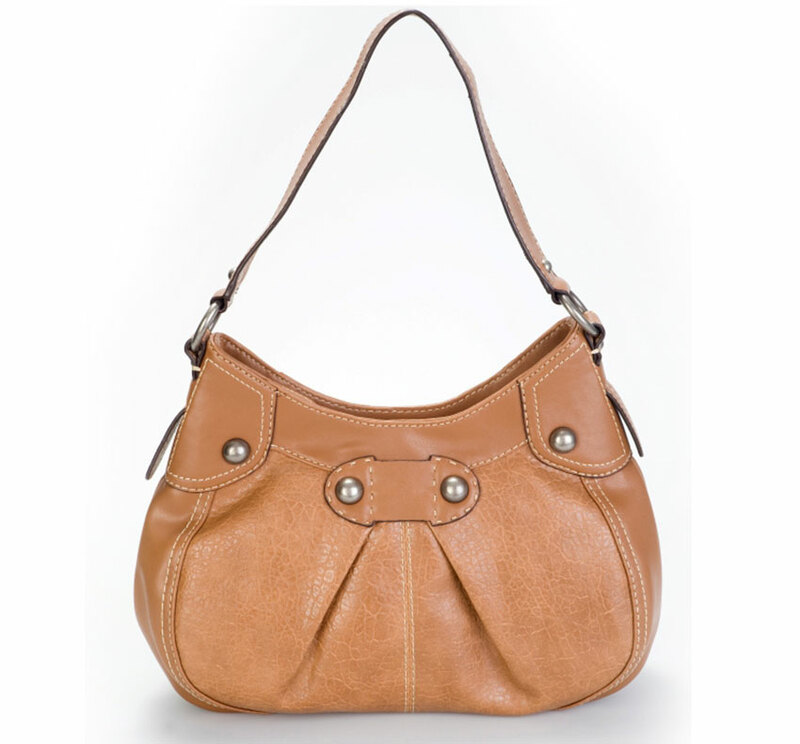 Add an element of flair and casual, cool style with a slouchy man's purse. The relaxed design of a slouchy bag, like the leather version in this image from R13, looks great with casual jackets and makes a nice contrast to men's modern skinny jeans and slacks. Consider a sleek, structured men's bag, like this slim but large square-shaped bag from Sergio Davila. It looks sharp and sophisticated while offering plenty of room. This large cobalt blue bag from the Malan Breton collection is an example of a larger bag that still looks professional and manly. A bold color like this is ideal for men who are comfortable showing off a bit more flair with their accessories. Rugged materials have a tougher look, and many, like this sleek black fabric style from Custo Barcelona, can also look surprisingly appropriate for the professional world. This sleek male bag from Krammer and Stoudt has a flexible exterior but has structured compartments so it is easy to find items when you need them. An added bonus with a briefcase-style carry-all is that it is large enough for a notebook computer. Messenger bags are one of the most popular options for men. They are available in a variety of sizes and styles. A leather and durable fabric look, like the Joseph Abboud fabric bag pictured here, is versatile enough to be used in both professional and casual environments. An unstructured, sleek but casual bag like this one from Stephen F is a perfect choice for use as an overnight bag or when you need to stow a few extra essentials for a day or evening out. If a man needs to carry a heavy load, a bag with dual shoulder straps, like this backpack style bag for men from Sergio Davila, can be a great choice. Materials like leather and suede upgrade the style for a casual look that has a hint of sophistication. Men have many choices when it comes to selecting bags. Shown here is a fashion influencer spotted outside of a Cavalli fashion show who has perfectly coordinated his bag with a layered, transitional outfit. You don't have to wear a bag that perfectly coordinates with your outfit, though. The best option is the one that reflects a man's own personal style and shows off his unique spirit. No matter what style of men's bag he wears, a man can keep organized and have the essentials easily within reach with this functional accessory.